How Far is Space Hill View Residency? Hill View Residency is a Complex with more than 300 flats in New Panvel, Adhav. The area is Surrounded by Mountains and Hills creating a beautiful ambiance for living. All Flats are Designed as per Vaastu. The buildings are beautifully designed and are Earthquake resistant. It has all the modern amenities provided. 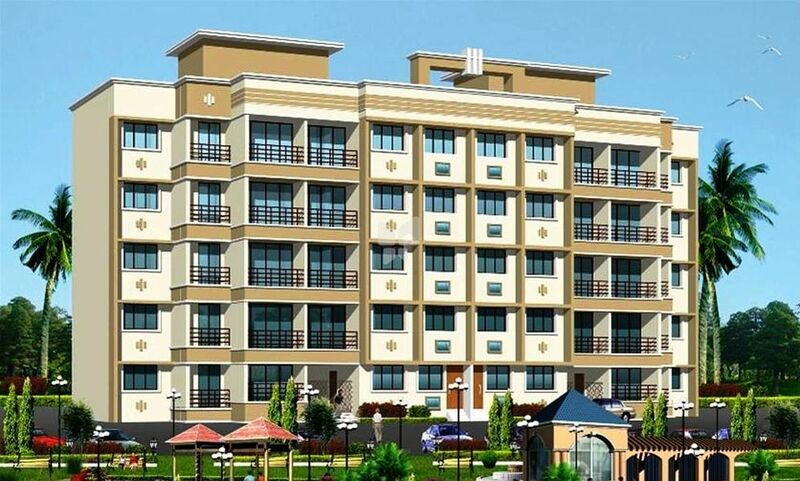 It has area for Society Office, Children's Playground, Beautiful Garden, Gymnasium, Joggers Park, Party Lawn, Tennis Court, Decorative Enterence Lobby and sufficient car parking space. The town ship is not only beautifully designed but also is close to important facilities. It is just 1km away from Panvel Residential colony, only 3 kms from Panvel Railway Terminus and Khandeshwar Railway station which is also a proposed International standard Railway station, all the reputed Schools, Colleges, Hospitals, Malls and Multiplexes in just 2kms radius. Proposed International, Domestic and Cargo Airport at just 4kms. Space India has a uniquely diverse multi-domain portfolio that covers real estate marketing, property development & property consultancy services. Our projects extend across several locations in and outskirts of Navi Mumbai, covering peripherals towns like Panvel, Neral, Karjat, Khopoli, Taloja etc. We cater to clients from both budget housing and up market perspective & proudly claim 10000 happy customers & growing. Our full spectrum of housing includes flats 1 RK, 1 BHK, 2 BHK and 3 BHK; all located in mini & mega townships of Panvel, Neral, Karjat, Khopoli, and Ulwe. From the last nine years, Space India has made its heart-warming presence felt in the Indian & International markets. Space India has a success story of 20+ completed projects with 10000+ flats and 15 currently under construction projects. Apart from constructing & marketing residential properties we also provide assistance in land acquisition to developers & investors. Space India also runs a housing loan department to assist customers in understanding their eligibility/processes & later assist them in availing loan from prominent banks. Space India’s Management has an experience of 600 person months in Design, Execution, Operation, Finance, Marketing & Sales which enable it to be a successful real estate venture. The management is ably assisted by a core team of sales, customer support, IT and marketing professionals. Over the years the management has developed a tried & tested formula for successfully executing & marketing a project. Space India is synonyms with real estate in Navi Mumbai & peripheral market and is treated as one stop destination for flats buyers & home loan seekers.